Somehow, for some reason, a motorist plowed into a line of three cyclists on Coors Blvd. yesterday, hitting two. According to day old press reports, the younger victim is in “critical but stable condition” and the older rider has non-life threatening injuries. Fortunately, both in terms of safety and reporting, the third cyclist was not hit and was able to report what happened to authorities. I have no specifics on what the third cyclist reported, other than what can be found in this KOB story on the matter. The tendency in “accident” reporting/information is that after initial news reports getting any information becomes damn difficult. So what happened? Why did someone driving down a straight, level section of four-lane road go out on the “fog line” (the white line at the edge of the two, in this case, southbound, lanes) and hit these cyclists? Why do this on a clear, sunny (but not sun-in-the-eyes) late Saturday morning? In part due to the difficulty in getting information, one immediately starts speculating, especially as a cyclist and one who lives in the far South Valley and knows Coors at/near Los Padillas well. I’ll be honest, all my speculations right now are pretty rough on the motorist, in terms of both that person’s ability to drive and concern for human life. An ideal place to ride a bicycle? No, but nor is it an ideal place to drive a car, truck or horse trailer. Yet amid the rather trashy condition, cracked pavement and poor striping, there are two redeeming features when it comes to motorists interacting with cyclists. This is out in the country. Traffic is nothing like on busy sections of Coors, including the new Las Estancias section a few miles north at Rio Bravo. This is the sticks. Drivers have healthy room to go around cyclists, including in this particular intersection a dedicated southbound left-turn lane. It’s primarily these two reasons that account for Coors being a fairly popular cyclist route, a condition helped even more by the fact there’s no Interstate access when Coors crosses underneath I-25 a few miles south of Los Padillas. Nope, looking at that wide, flat stretch of Coors, one just about has to think yesterday’s incident was caused by a driver who shouldn’t be driving and/or doesn’t care much about human life other than his/her own. Again, that and any other thinking done outside the official BCSO investigation is pure speculation, but it sure doesn’t look good. Not that any crash with serious injuries ever looks good. Perhaps the best looking outcome here, aside from a quick medical recovery on the part of the victims, would be a diligent public pursuance of more information and law enforcement follow-through to help make it less likely this happens again. Cyclists and residents of Albuquerque have maintained information centers, many online, over the years dedicated to such pursuance, but many of those efforts have waned a bit in recent years for a variety of reasons. Perhaps it’s beyond time to re-energize such efforts. More about this and other cycling-related ideas in upcoming posts. Stay safe out there, everybody. And if you’re driving, you know it may seem inconceivable, but you can slow down. Really. You can. That third cyclist is my son, Adam. Thank you, Scot, for a well-written, thoughtful take on a very close-to-home event! Please, everyone, send good thoughts to Nathan who is in a coma and in critical condition because of an inattentive driver. Thank you for your wonderful post. As I sit by Nathan’s bedside, watching his chest rise and fall from mechanical ventilation and CSF fluid being drained out of a port in his brain, I am thankful he is alive and making slow gains. Our lives, and especially Nathan’s, will be forever changed by the driver’s moments of inattentiveness or distraction. Nathan’s pursuit of eventual pro cycling with his long time dream of racing in the Tour de France have been replaced with the hope he makes it through today following his severe traumatic brain injury. I appreciate you raising awareness of this situation in our community, and I welcome any ideas or efforts of how to make our streets safer for cyclists. The driver was only charged with reckless driving, and although he must feel terrible about the accident, I do wish he would get more than just a slap on the hand. Thank you for the immense outpouring of love and support from the whole community. Keep the good thoughts and prayers coming for Nathan’s recovery! Marybeth, I’m so very sorry for what happened to Nathan and to hear that the driver was only charged with reckless driving and nothing more serious. We are pulling for Nathan and thinking of you and your whole family! I know several cyclists and two have been hit by cars. I am appalled the driver who hit Nathan Barkocy only was cited with reckless driving. He hurt two cyclists and Nathan is fighting for his life. He may have taken away his dream. Nathan is an incredible young man who is not only a gifted cyclist, but musician , athlete, honor student and great friend to many. Albuquerque we have to be more careful. Cyclists have a right to pursue their sport without placing their lives in danger. There are far too many accidents out there. Please pay attention to cyclists and please pray that Nathan recovers fully from this tragic, senseless accident!! Marybeth: Glad to hear of Nathan’s small gains and thoughts go out that those gains grow over the next few days. Our ongoing thoughts are with him today, of course. Steve: Hug your son once for all of us, even if it doesn’t seem he wants you to. 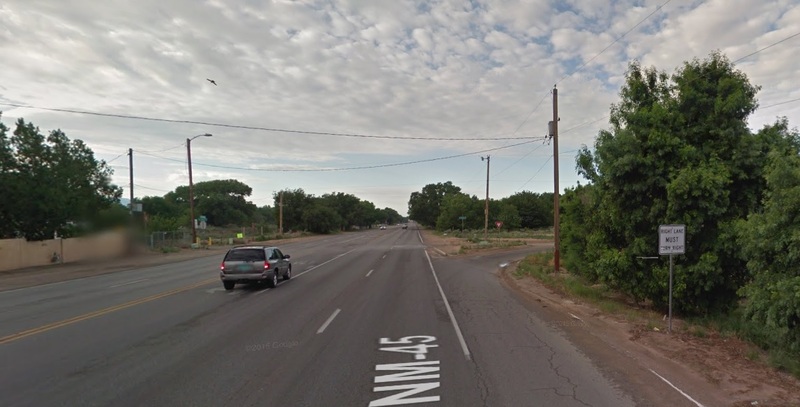 Drivers in Albuquerque need to change their attitudes and behavior toward cyclists. There have been too many killed or seriously injured and this has to stop. Nathan, his coach, and teammate Adam are all very experienced cyclists and highly aware of the need for safety in riding. It is inexcusable that this driver hit them. It is time that New Mexico law is changed to strengthen penalties for drivers hitting cyclists. My heart goes out to the family and the two injured cyclists. I wish them both a speedy and full recovery. I am disappointed that the driver basically only received a slap on the hand. NM laws need to be tougher regarding this. I used to cycle a lot and loved spending my weekends riding but having a friend die and another seriously injured at the hands of motorists, I decided that it just wasn’t safe. In the case of my friend who was seriously injured, this came as a result of a drunk driver. A rider behind him was struck and was catapulted into my friend who skidded many feet across the pavement with the other rider on top of him. Both cyclists survived but the recovery was long and painful. This accident happened more than 4 years ago and my friend has undergone multiple surgeries as a result of the accident and still suffers from sleep disturbances related to the accident despite not remembering anything that happened. To hear that, once again, a cyclist has been struck, makes me terribly sad. When you get behind the wheel of a car you take responsibility for how you operate that vehicle. Why is it that these drivers are not being punished? Something needs to change so that people are held accountable for their actions. Slow down, put the phone down, and pay attention to what you are doing when you are behind the wheel. Someone’s life may depend on it! My heartfelt wishes and prayers go out to the cyclists that were injured and to the cyclist who witnessed the accident. All of these people have roads to recovery and my prayers are with them. I lived in that exact area for many years and had to give up cycling on Coors. Even though I stayed as far to the right on the shoulder as I could, motorists would drive straight toward my bike and barely miss me. It was apparently their version of entertainment, as I would see them laughing and waving as they sped on. It seems ABQ area drives are no kinder now to cyclists and runners than they were 20 years ago. Too bad.for our young folks and anyone else who would like to enjoy the pleasures of riding or running in the open.